We’ve talked before about bidding on your own brand in Google Ads campaigns, along with the benefits and drawbacks that go with it. This post is about how to manage brand keywords – and therefore brand searches – within a Google Shopping campaign. With a Google Search campaign, you choose which keywords to bid on and therefore which search queries will match and show your ads. You make an active choice to bid on your brand, or on brands for products that you sell on your site, and you’ll be able to monitor those search queries to see which of them attract traffic and, most importantly, convert in to leads or sales. With a Google Shopping campaign, we’re less in control of those search queries. However, there are opportunities to attract that same brand traffic – but be careful! The brand keywords you think should convert into sales don’t always achieve such results. There’s a neat trick in Google Shopping that many advertisers don’t know, and that’s how to create a brand campaign. 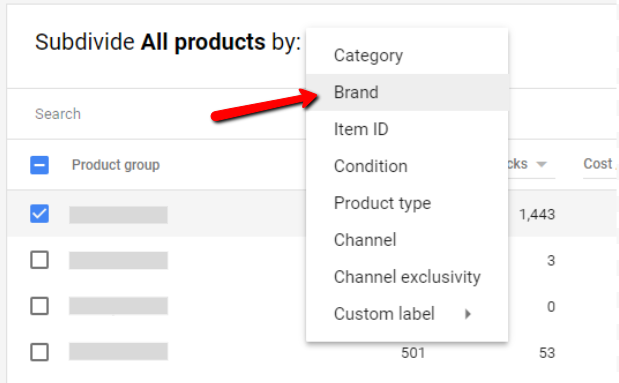 Not only will you need the data in your Google Shopping feed or Google Sheet to include the ‘brand’ attribute, but you need to make sure that that data is consistent. Also make sure that the brand is included in the product title and description – it will help Google identify that your ad is relevant for the search term. It should go without saying, but double check that your product pages include the brand too. Next, create an ad group, segmenting products firstly by brand. You might want to focus on a specific brand for each ad group and exclude all other brands – this will make it easier to measure, manage and optimise later. You can segment further by product type or Google product category, or any custom labels you might have created, but brand needs to be the first segment. This helps Google understand that this is a brand campaign and that it should match brand search queries. You’ll also need a second ad group or campaign, segmented first by another attribute, which should then match non-brand traffic. If you don’t do this, your brand campaign is likely to match non-brand searches, making this exercise fairly pointless. Search intent is critical to success with Google Ads, particularly around Google Search and especially Google Shopping. 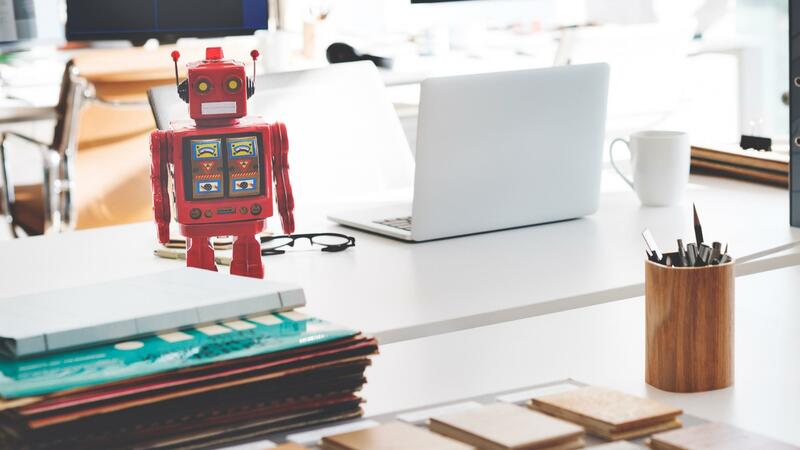 As an eCommerce store, you’re most likely focused on RoAS (Return on Ad Spend) and there’s going to be a vast difference in RoAS for different levels of intent behind the search queries matching your products. Low intent (i.e. ‘trousers’, ‘clothes’, ‘shoes’) – the searcher doesn’t yet know what they want, they’re definitely ‘shopping’. We may want this traffic, but we definitely don’t want to be spending much on it. Medium intent (‘men’s jeans’, ‘size 12 dress’, ‘pink phone case’) – we’re closer to what they want, but we don’t know anything about their budget or the brand they might be considering. This traffic still converts well and there’s a huge volume of it. Low intent brand (‘nike’, ‘argos’, ‘samsung’) – we know what brand they’re interested in, but not what product, or even if this is a transactional query at all. High intent brand (‘iphone 6s simpsons phone case’, ‘mens levi straight leg jeans’) – we know exactly what they want to buy, they just want a supplier with it in stock. This type of query converts really well and produces an awesome RoAS, provided you have stock at the right price, of course. What I want to address in this post is low intent brand keywords in Google Shopping campaigns. In Search, the low intent Brand Keywords can perform well, creating plenty of traffic and a reasonable conversion rate and RoAS. In Google Shopping though, that’s much less likely. Why Do Brand Keywords Convert Less in Google Shopping? The search intent is still pretty low. We don’t yet know if this is a transactional query, or an informational one. Is this searcher looking to buy something, or just forming information on the brand? Maybe they’re looking to buy a branded product, but they don’t yet know what type of product it is. The user journey is very different from Search. With a Search campaign, you’d send this click to a brand page, or your home page if you are the brand. 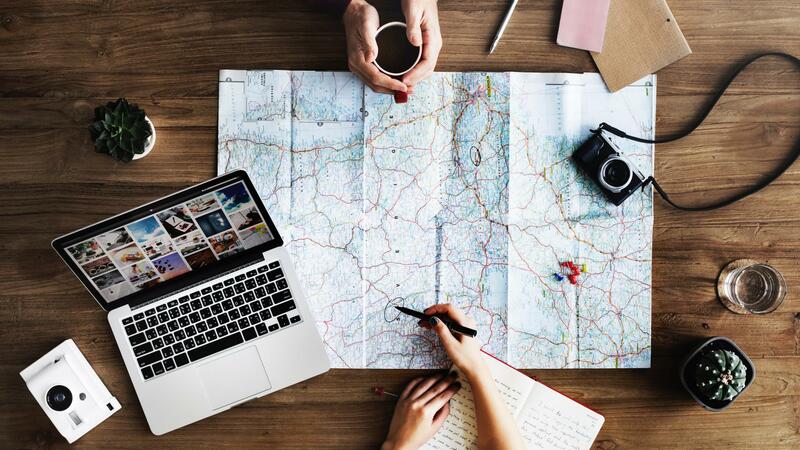 The user can navigate from there through to category pages or to product pages – they can choose the journey through the site. With Google Shopping, that user is landing directly on to a product page – if the brand has five different categories of products, with 50 product variations in each, we’ve only a 20% chance of showing an ad and landing on a page with the right category. The odds of landing that user on the right product are way, way longer. There are a few things that you could do to increase click through rate (CTR), increase traffic and increase conversion rate for brand keywords in Google Shopping. Firstly, tag the best selling products in your feed using a custom label. Create a separate ad group, segmenting first by brand, then by the custom label, excluding all other products. If you can’t edit your data or only have a small number of products for the brand, you could do this manually but doing it in the data is definitely the recommended option if you can. Outcomes: you should achieve a higher CTR for more popular products and more popular products are more likely to convert. 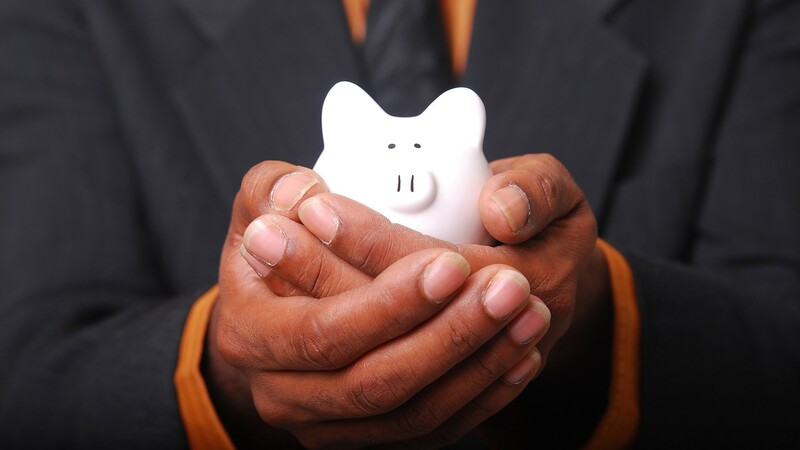 Sales should increase as well as the RoAS. Secondly, add the exact match term for the brand as a negative keyword to any other ad groups or campaigns, forcing Google to only match that term with your new ad group. Conversely, you’ll need to monitor this ad group and add negative keywords for all other search terms. Outcomes: You’ll have an ad group of best-selling products which only shows – or at least mostly shows – for the exact search for the brand. You can then adjust bids for individual products which achieve a better CTR or RoAS. Thirdly, if you can, add audiences to your new ad group – a remarketing audience would be a no-brainer, but also consider uploading an email list of customers that have already bought from your eCommerce store or, if you have enough data, customers that have bought that specific brand before. You can either choose to add a big bid adjustment for those audiences, or only target those audiences for this low intent, Brand traffic. Outcomes: Users that already bought from your site or bought that brand before are much more likely to be a transactional search, all of which creates a greater conversion rate and improves RoAS. Do you have any questions about setting up a Google Shopping brand campaign? As a Google Premier Partner agency, we have helped hundreds of eCommerce stores significantly increase their traffic volume and sales with effective Google Shopping campaigns. Click below to speak with one of our PPC Specialists or to find out more about our Google Shopping services.